Hey there, are you wondering how you can delete Gmail account? if the answer to that question is yes then this article is strictly for you. It is actually easy and possible to delete Gmail account permanently, but before you come to an ultimate decision that you don’t want to use your Gmail account anymore, you should have a rethink, reasons because deleting your Gmail account can lead to so many consequences and loss. Before we go ahead, I want to let you know why it is necessary to fully decide if you should delete your Gmail account and what happens when you delete your account. After telling you this I will then delve into showing you how to delete Gmail account. But then have this at the back of your mind. If you follow this post to the end and try all the steps, your precious Gmail account will be deleted for life. Hey! I am not trying to scare you or anything, but only trying to make you understand the consequences of deleting Gmail account. 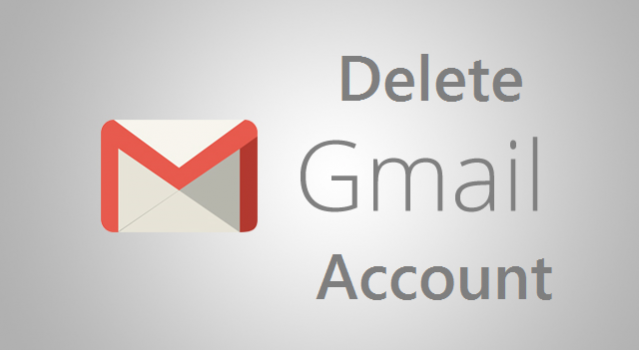 Deleting your Gmail account will permanently delete all your Emails. Inbox, outbox, draft and the rest will be all gone. And If someone tries to send you a message the email will be reversed. Deleting your Gmail account will make particular usernames useless in the future. No one will be able to access it. Not even you. If you delete your Gmail account, it might leave you with a loss. You might lose opportunities if your Gmail account was linked to sites that feed you with information. If you delete Gmail account, your Google account, search history, and youtube account won’t be deleted alongside. I guess at this point you should how important it is to keep your Gmail account. But, if after all this time you still want to delete your Gmail account then I’ll be pleased to show you how to. Now, all you will need to successfully delete Gmail account is a web browser. 1. Visit myaccount.google.com from your browser. (Your google account can only be deleted from a web browser). 2. Click on sign in. When you’re done signing in check to be sure if you sign into the account which you want to delete. If successfully signed in you will see google account profile picture on the upper right corner. 4. Click on delete product. when this is done. 5. Google will prompt you to sign in. Retype your password and click on sign in again. 6. Click the trash can which is next to the Gmail Icon. 7. Type in a new email address that and then click on Send verification mail. 8. When done with the previous step you will see a message with instruction telling you to open your email, click on ”got it”. 10. The next thing that will come up is that you will be asked to confirm that you want to delete your Gmail account, enter your password and click confirm. When that is done you will see a confirmation message showing congratulation you have successfully delete Gmail from your google from your account. Now if deleting your account was for a particular motive or may be starting a new life with new identity then you are at this point as free as a bird. Spread your wings and fly. Q: Can I reactivate my Gmail account after it has been deleted? A: Uhm, no you can’t. When you go through all the long steps in deleting your Gmail account and finally hit that ”confirm delete button” your Gmail account will become history. Q: My Gmail Account won’t delete what is the cause? A: The only genuine reason for this to happen is if you missed any of the steps above. You must make sure you follow each step one at a time and do this in understanding. Q: What Email do I use for Gmail delete confirmation? A: You can use any other Email except Gmail. You can use outlook, Yahoo and just about any Email.